Goodman SM, Mittermeier JC, Ramamonjisoa J, Rene de Roland L-A. 2014. The dietary habits of Barn Owls (Tyto alba) in the spiny bush of southwestern Madagascar. Malagasy Nature 8: 67-72. Abstract. We present an analysis of prey animals recovered from a collection of Barn Owl (Tyto alba) pellets found at a roost site in the spiny forest along the Mahafaly Plateau in the Parc National de Tsimanampetsotsa. Among 59 pellets examined, we identify a minimum of 227 individual prey animals, with an estimated combined biomass of slightly more than 7.2 kg. The most frequent class of animals is birds (14 species), which compose nearly 70% of the minimum number of individuals (MNI) and 46% of biomass in the sample. Next most common are mammals (five species), with 24% of the MNI and 51% of biomass. In all cases, the identified species of birds and mammals are known to occur in the general Tsimanampetsotsa region. A few unidentified remains of invertebrates, reptiles, and amphibians were also found in the samples. Based on MNI, the most frequent species are two weavers (Family Ploceidae), Madagascar Fody (Foudia madagascariensis) (MNI = 66 or 29.1% of identified prey) and Sakalava Weaver (Ploceus sakalava) (MNI = 43 or 18.9% of identified prey). Based on biomass, the most common prey is the introduced black rat (Rattus rattus), which accounts for over 40% of the total prey weight. 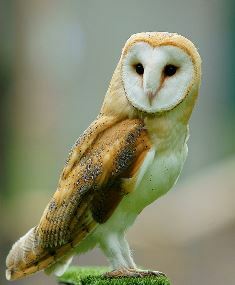 Differences in the diet between Barn Owls living in the spiny forest as compared to gallery forest are discussed. The Barn Owl pellets analyzed in this study were found on On 4 January 2011. In comparison to all the identified prey remains, the two weavers (Sakalava Weaver and Madagascar Fody) represent nearly 50% by MNI and 30% by biomass. The owl primarily predated roosting birds and nocturnal mammals.